You might have noticed that saying hello to a stranger who you want to photograph can be daunting! I know when I first started doing it I made lots of excuses to myself to get out of it, ‘they look too busy’, ‘the light’s no good’, ‘it’s not my thing’, and more. Really I was worrying that the stranger might think I’m weird, about having nothing to say, and about whether the photo would be good enough. Doing NOWportrait takes some courage! Rubel was actually the first person I spoke to, when I finally gathered up enough nerve to actually approach someone. Turns out he was a really friendly guy who I somehow kept bumping into. 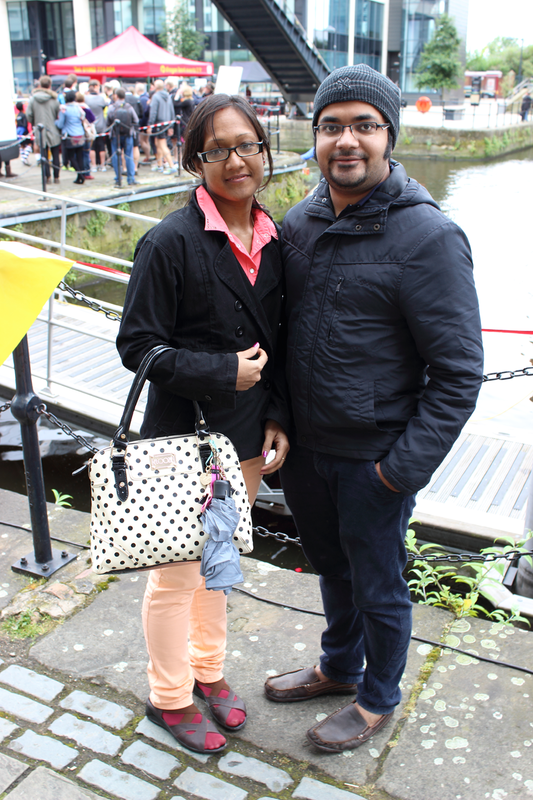 Originally from Bangladesh, Rubel recently moved to Leeds with his lovely wife who he married in January. The whole weekend of the festival was fantastic and full of pirates, mermaids, artists, stalls, music, steampunk, boat races and excited visitors. Check out the NOWportrait Facebook group to see who everyone met. And, if you’d like to join in, please do! Say hello to someone you’ve never met before, have a chat and find out their story, take a portrait and share your NOWportrait with us in the Facebook group and on Twitter or Instagram #NOWportrait. Last Sunday we held our second NOWportrait London meet up. It was wonderful to meet new people – those who’d come along to take part in NOWportrait, and all of the people we met as we walked through the streets of Chinatown and Soho. And there were challenges! It can be very nerve wracking to approach a stranger and begin a chat and one of the most fantastic things about the meet ups is being with like-minded people who are enthusiastic and supportive and doing the same thing. Sophy picks up the newspapers for her dad on the weekends, she was in a hurry because she was rushing to pick up her son from Chinese school. I asking her for her photo because she looked so bright and cheerful in her shades. To be honest, I could see she was in a rush and I thought she’d say no. I’m really glad she didn’t. 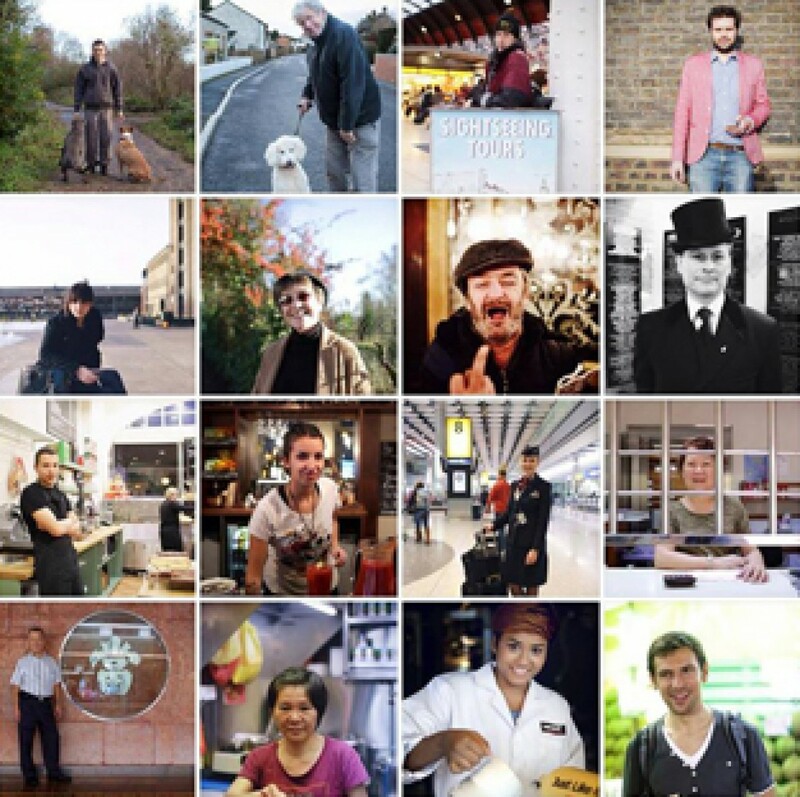 Come and meet the strangers we met as they get posted in the Facebook group and join in the conversation with the NOWportrait community. And when you’re out and about this week take a risk and say hello to someone new! Share who YOU meet in the Facebook group, and on Twitter or Instagram #NOWportrait. And if you’d like to organise your own NOWportrait meet up where you live, drop us a line and we’ll support you to do that wherever you are. Are you looking for something fun, challenging and creative to do in London this weekend? Then look no further! Come and join us on our second ever London meet up when we’ll be doing a NOWportrait photo walk around Soho and Chinatown on Sunday June 8th. It’ll be an amazing opportunity to come together and support each other, and we’re sure to meet lots of interesting strangers to photograph en route too. In fact the whole weekend looks like being a lot of fun in London with the Gumball Rally pulling in to Regent’s Street on Sunday (catch some celebrity NOWportraits! ), Field Day over in Victoria Park, East London for festival-goer NOWportraits, Soho Food Feast for foodie NOWportraits and perhaps some Penny Farthing cyclist NOWportraits at Jupiter London Nocture? It looks like summer has officially started and we can’t wait to see who you meet! Anna has just arrived from Russia to London this week. she has come to do an MA in Business. She comes to the cafe opposite her home to eat as she doesn’t want to eat alone in her flat. We all, the staff and customers, got chatting in the cafe, it was so nice to meet everyone! It was his tribal look, the smooth way in which he walked and his height that first draw me to him. After a chat I found out he had been up all night doing an event for a band. He had just bought some cheese from the market and was on his way home to relax for the day. I’d been up early to watch the sunrise over London and I’d asked two strangers if I could take their photos. They both said no so I was really pleased when Frank said yes! Frank is working on a new office build at Kings Cross and he’d just popped to the hardware store in Camden to pick something up. He lives on the south coast by the sea, which he loves, and commutes into London every day to work. It takes an hour and 45mins but he thinks it’s worth it to live somewhere lovely. He told me that the new areas in Kings Cross are billed to be ‘the Manhattan of London’ when it’s all finished. 4. appropriate comfortable shoes/raincoat for being outdoors and walking a comfortable mile or so. And if you’re out and about somewhere else in London or the world, why not join in NOWportrait too? Remember to share the people you meet with the NOWportrait community by posting their portraits in the Facebook group, and on Twitter or Instagram #NOWportrait. Meet Hannah. She was stood outside her office having a break and I loved everything about her look; her hair, her top, glasses and phone cover. She was a little hesitant when I first asked if she’d mind if I took her photo… “this isn’t going to end up in the inside of a phonebox is it?” After I had told her about NOWPortrait she relaxed and was happy for me to take her photo. Meet Don & two of his kids Kirin & Melody. Don was coming down the road on his scooter with Melody dribbling her basketball beside him. I loved his carefree attitude and he was really happy for me to take his photo. He called his young son to come and join them for a photo, he had scooted off down the road so we had to go and find him. Kirin was born 3 months prematurely but was a cheeky little chap who was full of life. Both children were gorgeous and a real credit to Don, he was clearly a very proud dad. 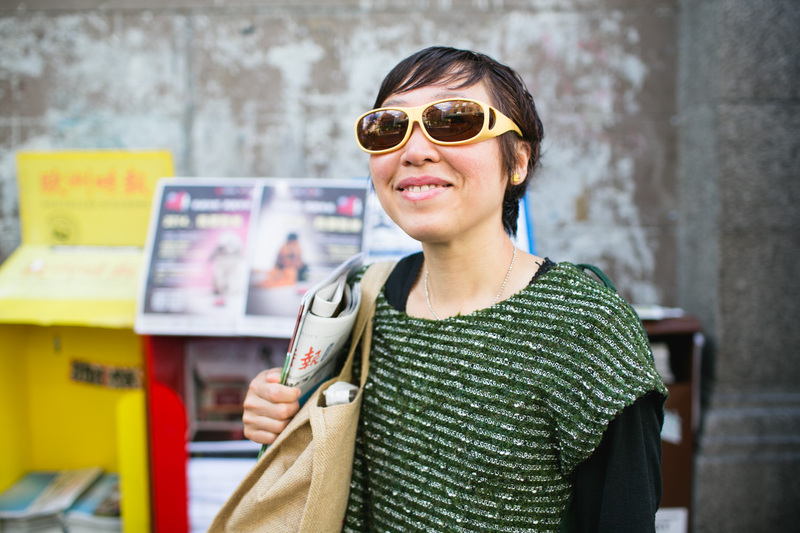 This is Sina who works on a food stall in London’s Leather Lane. He is Persian but cooks a mean Paella. I met Annelot on the NOWPortrait meet up day. She was the 2nd person I met and photographed. I loved the wall she was standing against and thought with her gorgeous hair and great jacket that it would make a great photo, so I approached her and asked if she would mind me taking a photo of her. She was a little surprised that I asked but was more than happy to have her photo taken. Annelot is from the Netherlands and was waiting to meet a friend for a coffee and a catchup. Her friend turned up as we were finishing so it was perfect timing. I think the words behind her are perfect for the fact she was off for a coffee with a friend. This is Ann. She was works at the Marx Memorial Library in Clerkenwell, London, and was having some lunch just around the corner when I stopped to ask if I could take her portrait. We chatted for a while and she told me of how she had studied painting & lithography at art school. She had only dabbled in photography once when she borrowed a camera from her college department, went to the British Museum to take some shots and was promptly arrested under suspicion for being a member of the IRA. Needless to say that put her off. Interesting to think it isn’t just in recent times that photography is seen as subversive or threatening. Ann was enchanting and a pleasure to chat to. The colours of this photo nicely represent her colourful character. Are you thinking ‘ME TOO’ ? Come and share the NOWportrait experience! It’s a fantastic opportunity to meet and photograph strangers in a different part of town, to give and get support, and to be part of a growing community of people taking creative risks and making connections with new people. Our next meet up is on Sunday June 8th in Soho and we’d love to see you there. Follow us on our Facebook page to stay updated. And if you’re out and about this week having chats with strangers remember to share the people you meet with the NOWportrait community by posting their portraits in the Facebook group, and on Twitter or Instagram #NOWportrait.